I think it’s important that the general public have the chance to gain the knowledge on how to save someone’s life, so as a gym owner and with the help of a client Jenna Lloyd who’s a Nurse will be offering an adult, junior and baby CPR with defib, choking and recovery position Training Class for anyone to attend at Warrior Fitness, this isn’t just for our clients it will be open to anyone in the Stoke-on-Trent & Newcastle under lyme area and it will be Free!! It will take up to 1 1/2 hours & accommodate 30 people. Hopefully we’ll lay on a few of these classes if we have lots of interest. 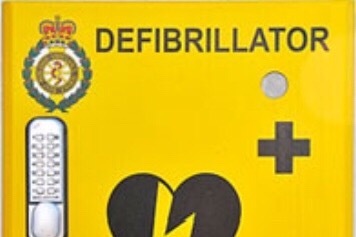 we’re hoping to raise money to have a community Defibrillator installed outside our premises or somewhere local.